Make-up is something I have really grown to love in the last couple of years. I mean I have loved it since I was about 14 but that was back in the day of more is more and ‘give me all the bronzer’. I now really appreciate the art of it, the different looks that can be achieved and how much fun you can have with it. I am no make up artist but I know that using good make up will make a big difference to the end result what most people don’t realise is that good make up brushes are just as important. It’s important to spend some time trying out different brands of brush and seeing what works for you what works for one person might not necessarily work for all. 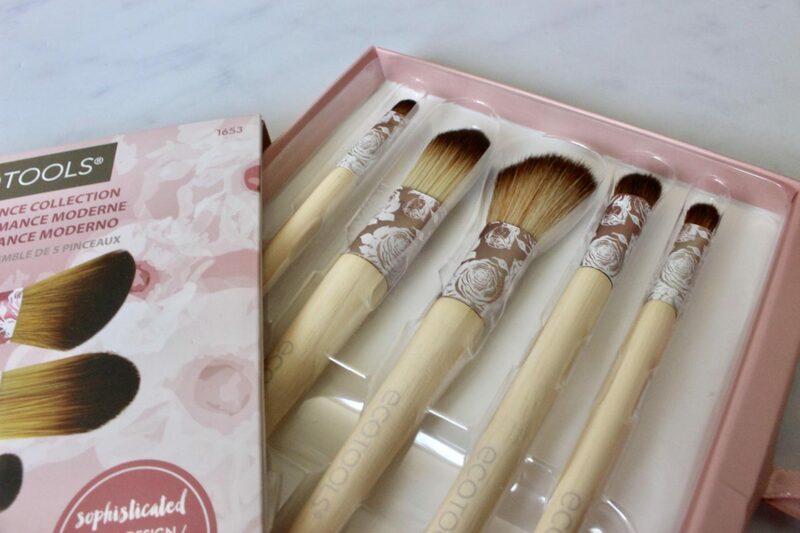 I have been a huge fan of Eco Tools brushes for a long time, not only are they great they are also affordable they last a really long lasting and they’re and ethical brand. 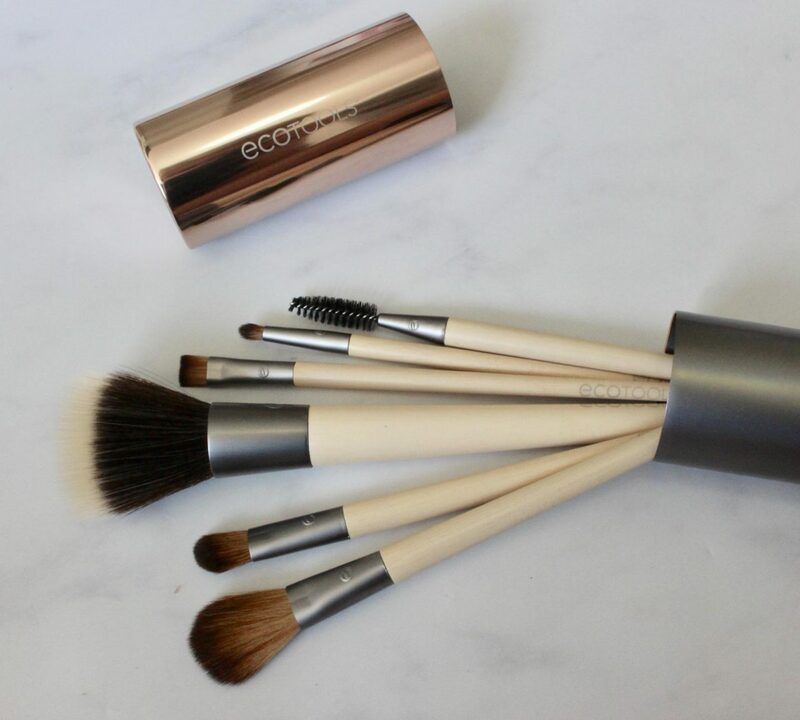 Eco Tools are 100% cruelty free and vegan. They use recycled aluminum and plastic and the handles on the products are made of renewable bamboo, one of the fastest growing plants on the planet! As soon as this new range arrived in the post I was in love the rose gold casing is so up my street I am obsessed with it. 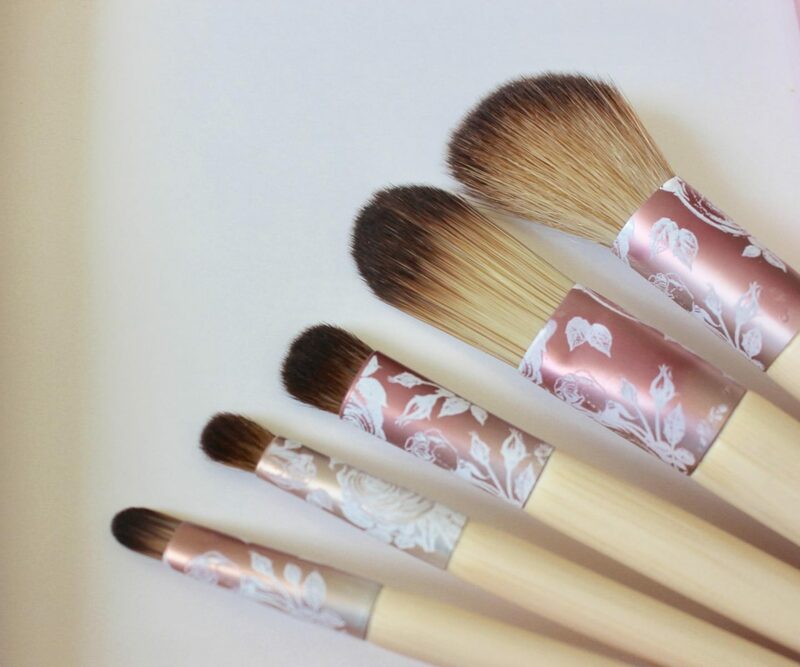 Not only that the brushes have been amazing to use. The big stippling brush is perfect for my foundation I have been reaching for it more and more over my previous favourite – it’s so soft it gives such a lovely finish. I love having a huge range of brushes for eye shadow it means I can quickly create different looks and have lots of fresh brushes to hand for blending. 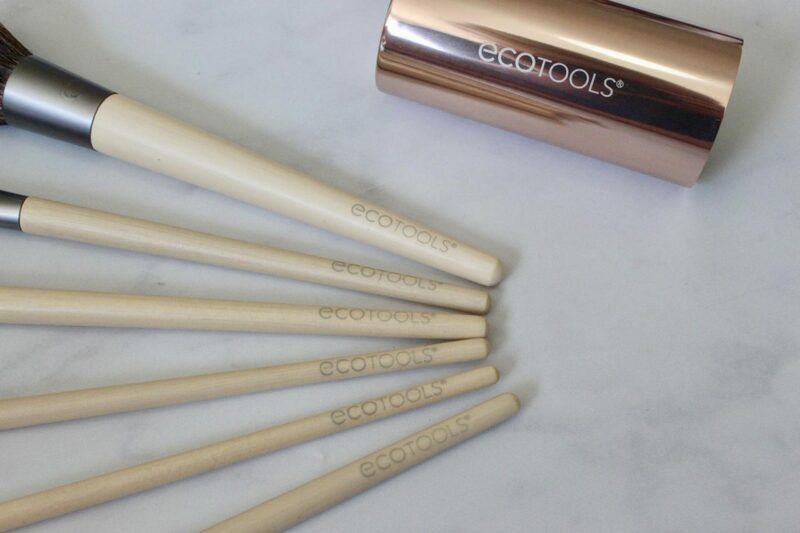 This Eco Tools range has been perfect, again they’re soft and fluffy but the different sizes and shapes give real precision. The modern romance collection arrived at the perfect time, this 5 piece set of mini’s came through just before I went away on holiday. I don’t tent do wear much make up on holiday so having this little set covered all bases. Foundation.blush, eyes and lips all in one set. They’re the perfect size for traveling and they are so pretty! The biggest test I find with make up brushes comes when you wash them. I use a baby shampoo because it’s gentle and cuts through grease and all the make up grime. Sometimes I find brushes lose their softness after a wash and other times I had the fibres actually start falling out which is never a good look when they’re all over your face. I am please to report these brushes have passed the wash test with flying colours, they are still soft, still doing the job and still firm favourites in my make up collection.